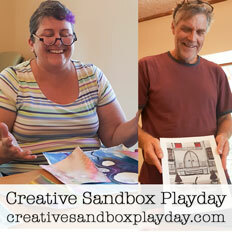 FREE Posters to Kick You Into Creative Action! Get My Manifestos Poster for FREE! 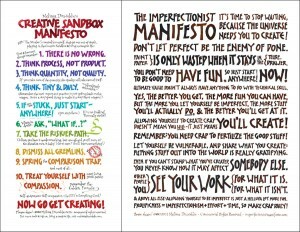 It's a visual reminder of all my Creative Sandbox Manifesto rules, to refer to whenever you feel stuck. Plus my Imperfectionist Manifesto, to help you stave off perfectionist paralysis. Yep, two posters in one! Both designed and hand-lettered by yours truly. Post them on the wall near your work space. Slide them in the cover of the binder that holds your day planner. Hang them by your bathroom mirror. 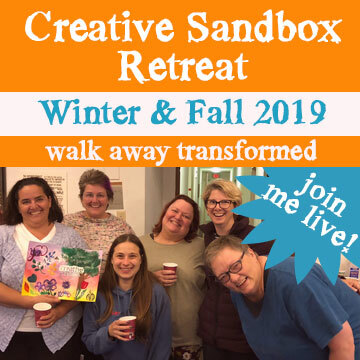 I'll also send you practical inspiration about once a week for living a full-color creative life NOW, plus first dibs on new stuff to help get you—and keep you—creating. No spam. Ever. Your privacy is safe. Feed Your Soul, Boost Your Happiness, Change the World! 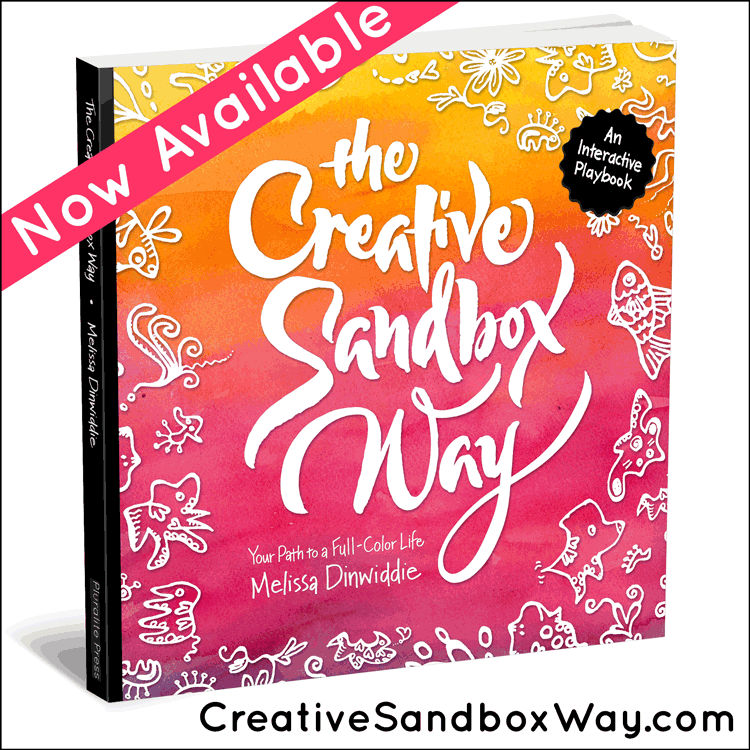 When you do your creative thing, it makes you happy, gives you joy and makes you feel alive. And when you feel happy, joyful and alive, that’s what you take with you in every interaction. That’s why, when you do your art, you’re not just a painter, scrapbooker, knitter, writer, musician, maker (or fill-in-the-blank) — you’re a Creative World-Changer! Plus it’s through your unique creative voice that you will touch, influence, and make an impact on the people around you. 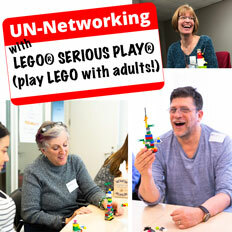 And modeling living a creative life inspires others to do the same. But you’ve got to do the work in order to change the world, and that’s where so many of us get stuck. Doing the work requires letting go of perfectionism, sidestepping the self-doubt gremlins, and dodging distractions. How in the heck do you do that? 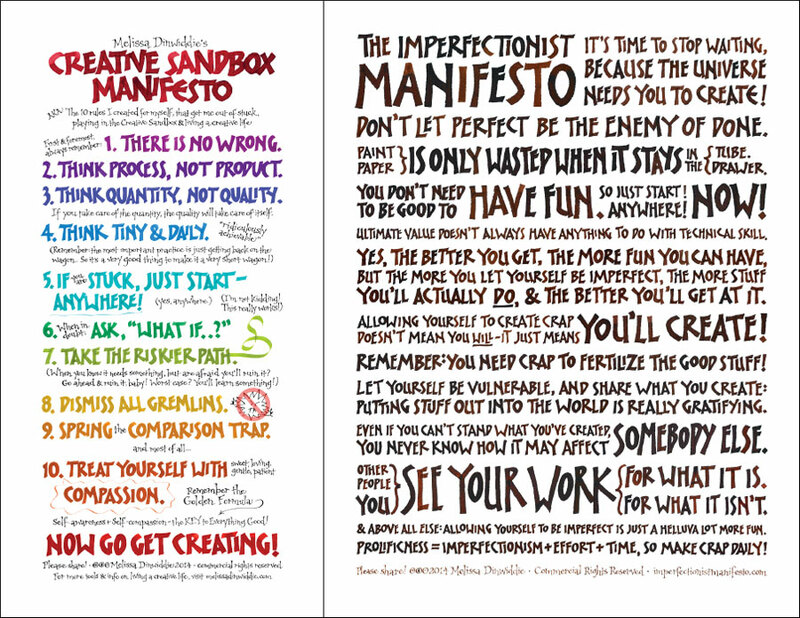 I developed both of these to blast me past my own creative stuckness, and found myself consulting both so frequently that I created posters of them to hang on my wall! Just plop your details in the form above, and I’ll send you a printable poster of both manifestos, plus an mp3 of my original song, Creative Sandbox Rules. You’ll also get inspiration in your inbox about once a week, and first dibs and special offers when I’ve got new goodies to share.